As a quality driven enterprise, we are engaged in providing a high quality range of Sand Mixer. Specifications : Capacity - 10 Kg [Batch], Motor with Gear Box1/2 HP Single Phase, Scraper - 2 Nos. USE : It is use to mixing for co 2 sand, two parts Nobake sand. 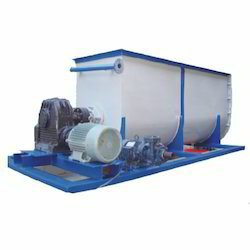 Manufacturing and supplying of sand mixer. 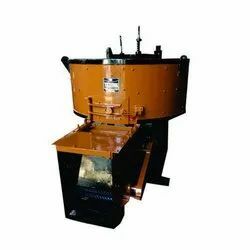 The company has come up as one of the prominent Manufacturers and Suppliers of Sand Mixers in Kolhapur. The Sand Mixers, offered by the company, are resistant to early wear and are known for their long life. Ganesh sand mixer is proven design. Specially designed s- shaped blades ensures that sand mixing takes place in minimum time. • Ganesh sand mixer blades are exchangeable. These blades are hard spot welded which prevents the blades from wear. • Weighing and mixing of material are automatically controlled. Capacity Per batch 350 to 400 kg..User Pickle mfg, Spoces, solt chemical ind & others.